The University of Wisconsin-Milwaukee’s Distance Education and Technological Advancements (DETA) Research Center invites you to participate in a competitive grant process. They are looking for researchers who want to conduct rigorous studies on effective course and institution practices in online learning. Even if you are not interested in the grant competition, you should review their recently-released Research Toolkit – which is great! We have long needed replicable and scientifically-based research on the efficacy of technology-enhanced education. Kudos to the U.S. Department of Education’s Fund for the Improvement of Postsecondary Education for funding DETA. Kudos to the work of Tanya Joosten and her UWM team in making it a reality. Tanya Joosten explaining DETA’s research agenda and the Toolkit. Proposals for research projects are currently being sought. Stipends to support the research work range from $5,000 to $20,000. Research conducted under this grant must use the DETA Research Toolkit (see below). Proposals must identify how they will include populations of interest (students with disabilities, first generation, and minorities) in their study. Research must be completed no later than June 1, 2016. The deadline to submit proposals is November 1, 2015 at 11:59 CST. An additional request for proposals for research on competency-based education will be announced in late October. Complete DETA’s form to download the Research Toolkit and the Request for Proposals. A description of their research model, including desired outcomes and research questions. A section on data collection including a look at institutional warehoused data and survy instrument development. Of great help is a “Student Survey Instrumentation Packet” with examples of several tips of surveys that you can adapt and use. As participants in the workshop asked questions, it was amazing how many times Tanya could point to resources in the Toolkit that would help in designing or conducting the research. We have all heard the complaints about the lack of research of the efficacy of technology-mediated education. We need well-designed, replicable research studies. DETA allows us to create the repository of studies that are needed. The best way to answer our critics is by doing the necessary research work. Thank you to DETA for providing the tools to make that happen. Now we need you to participate. As a lead to research topics that are of interest, see the top research questions generated at the DETA summit held earlier this year. 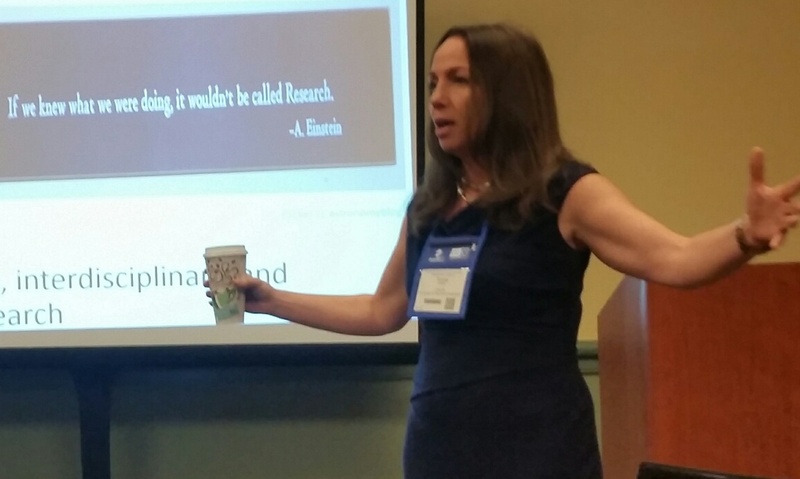 At WCET’s Annual Meeting, Tanya Joosten leads a hands-on Workshop on the DETA Research Toolkit and helps you in designing your own research. The workshop is free to anyone registered for the Annual Meeting. See you in Denver on Thursday November 12.